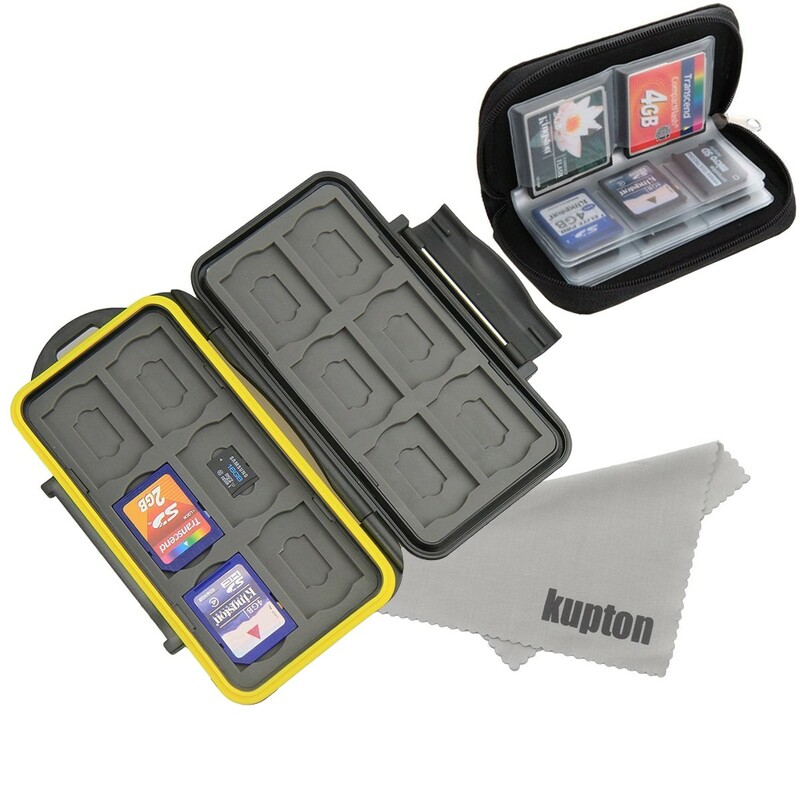 Memory card case kit includes one water-resistance rugged hard protection box and one pouch zippered storge bag for SD card, Micro SD card, CF/ SDHC/ SDXC memory cards. Water repellent / Anti-static inner material. 8 pages with 22 card conpartments. Large slots hold cards up to 43mm wide, 18 small slots hold cards up to 24mm wide.